Today is Memorial Day in the United States. While many here gather as family and kick off the summer season, Memorial Day goes much deeper. We recognize those men and women who have both dedicated and given their lives for our freedom. Two of my friends currently serve in the US Armed Forces. I am deeply grateful for their dedication. Memorial Day is also a time to remember our own ancestors and show gratitude for the sacrifices they have made to give us what we have today. So many have given so much to make this world a better place. Categories: Leadership, Trust | Tags: appreciation, gratitude, Leadership, peace, sacrifice, success, Trust | Permalink. No matter what we are facing in life right now, there are things for which we can, and should, express gratitude. The act of focusing on the good things helps us keep moving forward during the tough times. In the long run, it pays to both feel and express gratitude for others and the good things happening around you. When asked how they set themselves up for success, the most common response from thirty well-known high achievers was expressing gratitude. Staying positive and having an attitude of gratitude are common practices of some of the most successful people in the world. Categories: Purpose, Trust | Tags: achievers, collaboration, gratitude, peace, success, value | Permalink. Independence Day is a time to reflect on the freedoms we have and the people who paved the way. 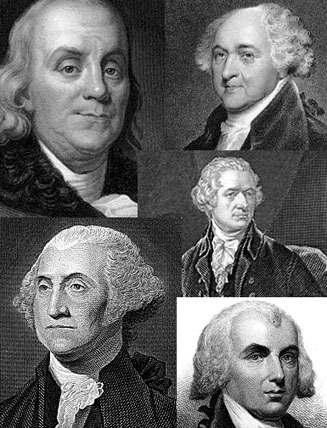 Though many readers of Lead on Purpose reside outside the US, I hope you will also appreciate the great things that happened back in the late 1700s and the impact those men had on establishing freedoms enjoyed by many throughout the world today. Categories: Knowledge, Leadership, Trust | Tags: constitution, Founding Fathers, freedom, liberty, peace, self-government | Permalink. An important aspect of successfully leading people is showing gratitude for who they are and what they do. Gratitude connotes a positive emotion or attitude in acknowledgment of a benefit you have received or will receive. It is recognizing the good things in your life and acknowledging those who helped you achieve them. Gratitude also implies helping others achieve their goals. Why practice gratitude in leadership? Show gratitude to others — through your leadership — and they will help you to succeed. At face value this may seem too simplistic; however, if you think about the people who have helped you get to where you are today, I’m sure you will feel grateful for what they have done. Always show an attitude of gratitude. This post was inspired by the talk Finding Joy in the Journey by Thomas S. Monson, president of the LDS Church. The Product Management Perspective: Product managers have an often difficult task of motivating their teams (you know, the people who are responsible for a successful product release and also do not report to you) to work quickly and effectively to release quality products. Showing gratitude towards the people who are responsible for your success is not only the right thing, but also the smart thing to do. Categories: Leadership, Trust | Tags: attitude, collaboration, contribution, goals, gratitude, opportunities, peace | Permalink.